Spoilers ahead. 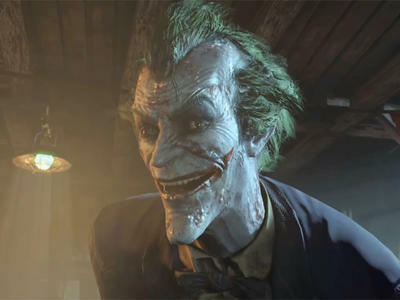 If you're going to read this article, please only do so if you've already played through Batman: Arkham City or if you don't care knowing how it ends. The quotes from Rocksteady and the writing we spread around them will ruin the game for you. Batman: Arkham City was the combined vision of Rocksteady Studios, Paul Dini (famed Batman writer) and DC. Rocksteady's Sefton Hill, Game Director, sat down with Xbox World Magazine and talked about all sorts of things surrounding the creation of Arkham City. It's a great interview well worth your time, if you're interested. We wanted to pull out a few choice quotes to spur a little discussion and thought regarding the way Batman: Arkham City ended. The Joker dies. "You invest time in a game and this story, and you want to feel like the universe is affected by the events you play. We didn't want it to feel hollow – Joker starts off poisoned, Batman gets poisoned, where does that story go? We knew people would be thinking: 'obviously they're not going to kill Batman or Joker, right?' We felt killing Joker was a really striking end. It was almost taboo, like it was something we could never do. That would be interesting." And it was interesting. The Joker, through his own flaws as a character and villain, winds up killing himself as Batman actually works to save him. The game hits that particular moment and slows to a halt as Batman sees his constant enemy dead. How about reaching that decision with DC? "They were quite good with it actually. DC, Warner, Paul Dini – they were all in this room discussing the story and discussing what we want to do. It was never a case of them saying: 'you can't kill him,' it was more about whether we were only killing him for shock value. There were no dissenting voices, as long as it was done in a proper way, as long as it was clear that Batman didn't go out to kill him – that's never what Batman would do. Joker being responsible for his own downfall because he wasn't able to resist stabbing Batman in the back was something we thought would be a nice poetic end for him." Check out the interview in the source link below.